At 14 years old, Jimmy is a happy, cheeky and adventurous kid who is entering adolescence and beginning to learn about himself and his potential. But Jimmy had a very difficult start in life, and in his short 14 years he has experienced more than many would in 40. At just four years old, Jimmy found himself on the streets, begging for food. Eventually he was taken to his grandmother’s, a few hundred kilometres away, but his grandmother treated him badly and used to hit him, so Jimmy would leave the house regularly. He ended up travelling the dangerous route to Guatemala and Mexico on the top of the freight trains; a journey that thousands of children and adults every year looking for work in other countries or trying to make it to the USA. But the journey is full of dangers and many have lost their lives. Jimmy has been deported more than once, but each time he ends up once again in Guatemala or Mexico. When he was 12 he went to Guatemala. This time, instead of begging to support himself like he used to, he began working on the busses. After a year of working the gang-controlled route, the bus driver defaulted on one of his payments, and Jimmy found himself fearing for his life. He got on a train to Mexico where he was caught, once again, by the immigration police and deported back to Nicaragua. 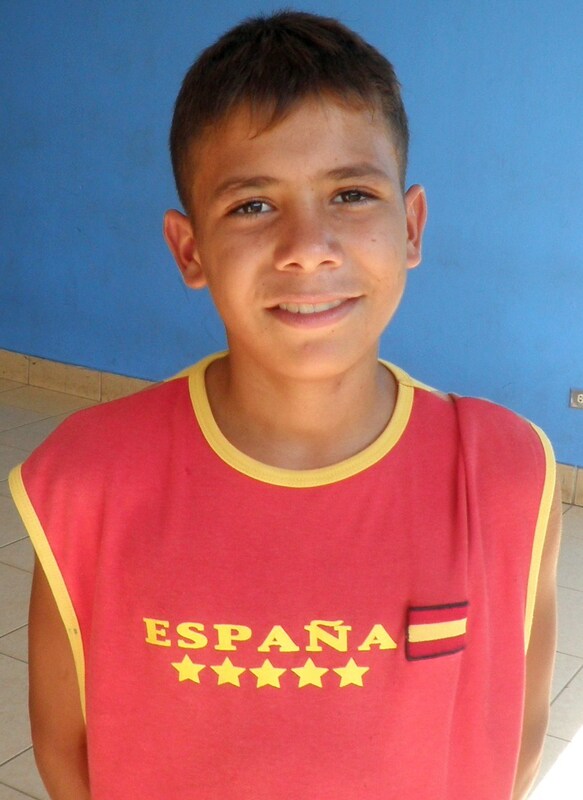 This time he was placed in the care of Casa Alianza, where he feels much safer. He has realised that there are too many risks to living on the streets, travelling from place to place. Jimmy has never been to school and wants the chance to learn to read and write. He wants to be a doctor some day. Casa Alianza has been able to start Jimmy’s education and given him the security and help to learn, develop skills and become the person he deserves to be. Olga is an ex-resident of Casa Alianza; she was in the program from the age of eleven to seventeen. Four years after leaving she is still a regular face at Casa Alianza, only now her daughter Valeria is the one running through the corridors. Olga was brought to Casa Alianza at the age of eight by a team of lawyers and social workers who saved her from a hard childhood of exploitation. She had grown up in poverty; her mother died when she was young, her father sexually abused her and would beat her brother who tried to defend her. She was taken at six years old to Managua to work night and day for a woman cleaning, cooking, ironing and doing everything in the house. The woman beat her, screamed at her and exploited her in this way for almost three years until one day Olga called a radio station, terrified, looking for help. She was given the number of Casa Alianza who then came looking for her, and brought her to the safety their residential program. 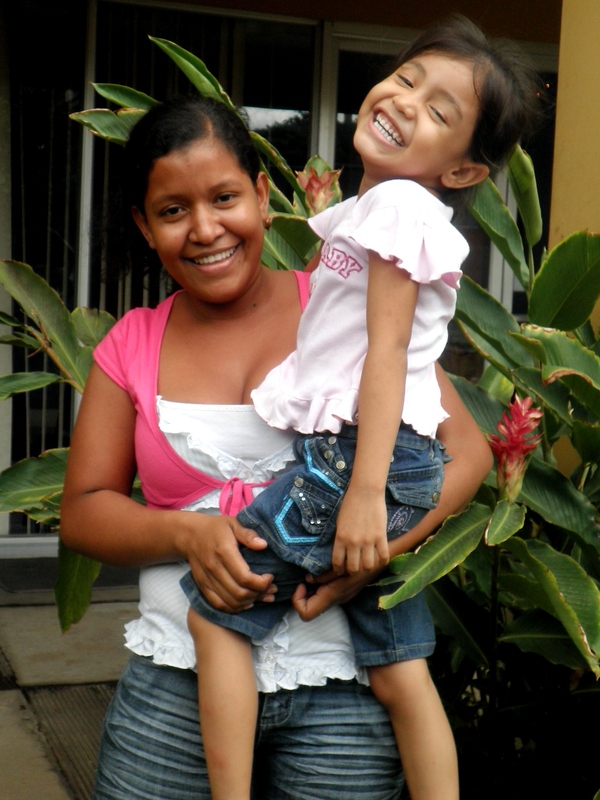 In Casa Alianza Olga began her education. She attended school daily and, in the six years that she lived in the program, she took courses in computer operation, secretary training, computer maintenance and repair, as well as in painting, dance and choir, and she got a diploma in the Promotion of the Rights of the Child. At seventeen she was re-integrated with an aunt, spending three days a week at Casa Alianza to take her courses. She fell pregnant and was supported by the organisation throughout with vitamins and medical aid. Her daughter is now four and frequently accompanies Olga on her weekly trips to the office to get her transport allowance for her course in accounting, which Casa Alianza also have paid for. 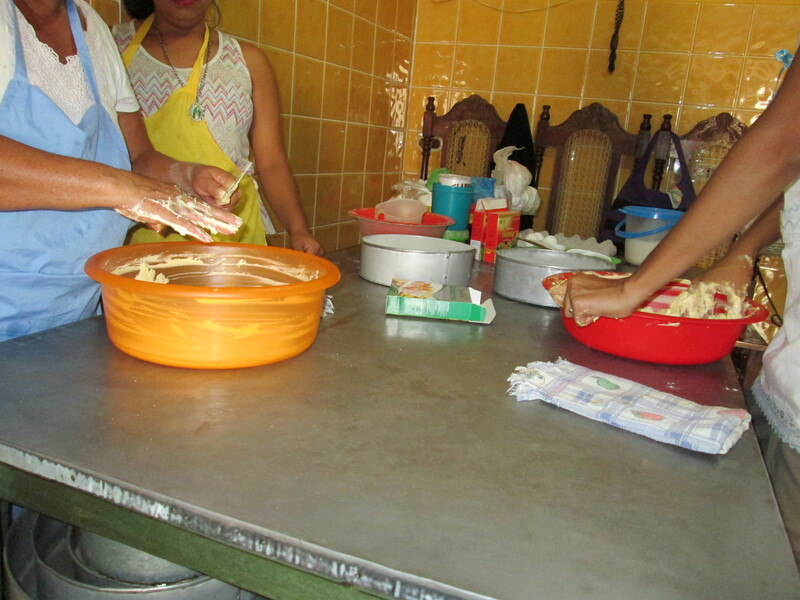 Olga has really made something of her life; since leaving Casa Alianza she has opened two businesses of her own, the first a clothes shop and the second a convenience store, each time investing the money and making a profit. She has learned a lot about being a mother too. All too often the cycle of abuse and violence is repeated from generation to generation, but Olga recognises that she cannot let that happen. She has learned that what happened to her should never happen to her daughter, and she has to be a strong, independent mother to her. Olga says that Casa Alianza really helped her turn her life around. It educated her, helped her raise her self-esteem, taught her to relate to other people and to her daughter, and to be an independent woman. Many people born into poverty find themselves trapped in a life of hardship and informal labor but Olga now has a life plan, ambition, and the tools with which to realise them. Fifteen year old Ileana grew up in extreme poverty; her father was murdered when she was just 9 months old and she is penultimate of fourteen brothers and sisters from eleven different stepfathers. Instead of going to school she was be made to look after the house.Often left alone she feels like she never really knew her mother’s love. When Ileana was eight her mother moved the family to La Chureca, an infamous rubbish dump, where hundreds of families survive by picking through the rubbish. Ileana recalls how ugly and dirty that place was but, she says, she soon grew accustomed to the smell, the smoke and the rubbish. Her home life was one of instability, conflict and alcohol abuse. When she was nine her stepfather began abusing her. For three years, the abuse continued; leaving the house when she could, Ileana would take to the streets, smoking and drinking alcohol. Ileana was brought to Casa Alianza at the age of twelve by the Street Outreach Team which changed her life completely. She says she has received the love and support that her mother could never give her, psychological attention to build her self esteem and an education which she never thought she would have. Casa Alianza has helped her in the relationship with her mother too, and now she goes on family visits almost every weekend. Ileana attends school every day and is a fantastic student, she has also completed a baking course and will be starting a cake making course in the next month. The day that she passed her baking course, she recalls, was the happiest day of her life.